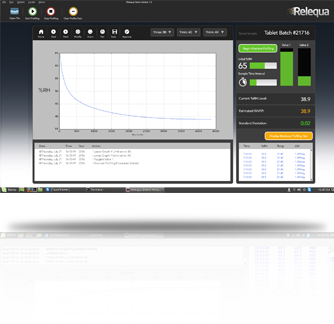 At Relequa our R&D people over the past 7 years have focused on gaining an understanding of the way materials interact with moisture. We have identified the key parameters involved in the initial stages of water vapour moving from the surrounding air into a material. 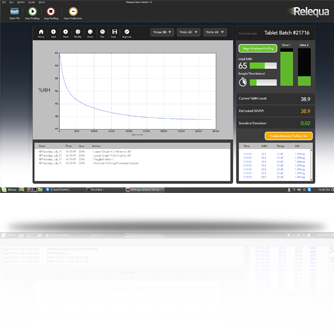 Knowing how these parameters influence moisture uptake has allowed us to build precision into Relequa’s new Moisture Profiling™ system, the MP-1000. Our new precision engineered MP-1000 Moisture Profiling™ system gives WVEP values that stand the test of analytical statistical precision. Acceptable Repeatability, Intermediate Precision and Reproducibility of the WVEP of a product is achievable within the parameters specified in the ICH Guideline VALIDATION OF ANALYTICAL PROCEDURES: TEXT AND METHODOLOGY Q2(R1). Our software allows you in just a few easy steps, with no sample preparation, to set up a Moisture Profiling™ run. Depending on your needs, results can be generated in minutes and several samples run in a day. All data are saved during the Moisture Profiling™ run and this can be performed in a regulatory compliant mode if required. Once in command of the WVEP data you are then in a position to take control of the moisture status of your product; in-process, within the packing environment, storage or in the supply chain. The MP-1000 captures and displays moisture profile data in real time. Data capture is at 10s intervals, a capture rate that we have found from years of experience gives the required detail without generating large data files. Other data capture rates are available with the MP-1000. 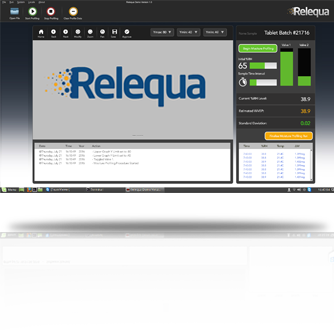 Unique to Relequa’s Moisture Profiling™ system the MP-1000 has a function that predicts the WVEP end point of the moisture profile. The predicted WVEP is constantly updated and displayed in real time on the control screen as the moisture profile is generated. Along with the WVEP predicted value the standard deviation is displayed to show statistically how close the predicted value is to the actual data.